Ashok Roy Choudhary, Ravi Shanker Dubey and Vandana Bhargava, the three other directors of Sahara Group, were also questioned. 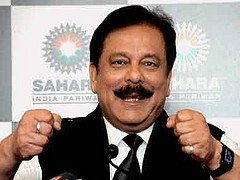 Subrata Roy Sahara’s projects may be affected. The case began on August 31, 2012, Supreme Court ordering the group to repay the investors. As per the SC order Sahara had to pay over Rs.24000 Cr to the investors. Sahara India Real Estate Corporation Ltd and Sahara Housing Investment Corporation Ltd had raised a real estate fund through OFCDs. SC, dubious over the scheme and the details of the investors, had asked both SHICL and SIRECL to repay the amount. Later Sahara claimed that they had refunded their investors. 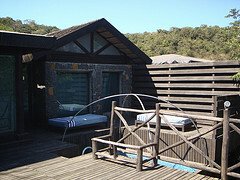 However the market regulator said that the amount was not paid back. Additionally the SEBI seized the properties of Sahara chief and the other three directors. It said that the group has defaulted the payment to the investors. In March, SEBI had also approached SC for the arrest of Subrata Roy Sahara. After the questioning, Mr. Roy said that he questioning was mainly about his personal assets. This entry was posted in Real Estate News and tagged Sahara Housing Investment Corporation Ltd, Sahara India Real Estate Corporation Ltd, SEBI, Securities and Exchange Board of India, SHICL, SIRECL, Subrata Roy Sahara by designer. Bookmark the permalink.